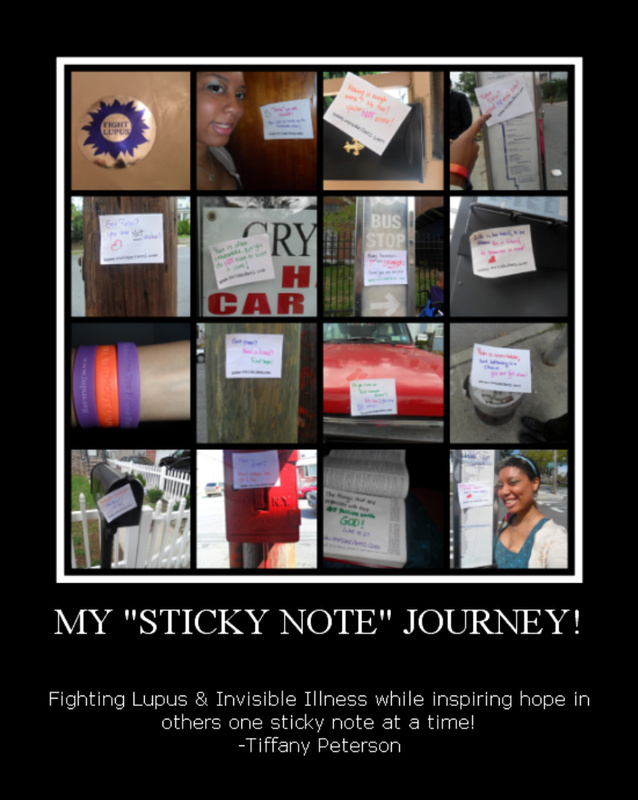 Tiffany and Lupus: My 'Each One Can Reach One' Campaign! My 'Each One Can Reach One' Campaign! was created by Lisa Copen in 2002. She has chosen THIS year, 2010 for her "Each One Can Reach One" campaign. Which demonstrates how just one person can help another, its completely anonymous unless the "do-er" chooses not to be. The beauty of it is that complete strangers are making a difference in the lives of those living with chronic pain! Today I've chosen to participate in the "Sticky Note" campaign! This campaign is a load of fun, and an opportunity for you to indulge in your creative side. All you need is some magic markers or sharpies and post-its (I used a note pad, markers, and tape) ! Next just write inspirational messages and be sure to include "www.invisibleillness.com" on the bottom of each note. Next embark outside and prepare for a fun and mischievous journey! Stick your notes in places people will see them, like on the mailbox, on a bus stop sign, in a book at the library, in the pew at church, etc! I'm sure the finder of each note will be touched that someone out there feels the same way they do, and ended the day with a smile at the kindness of others. 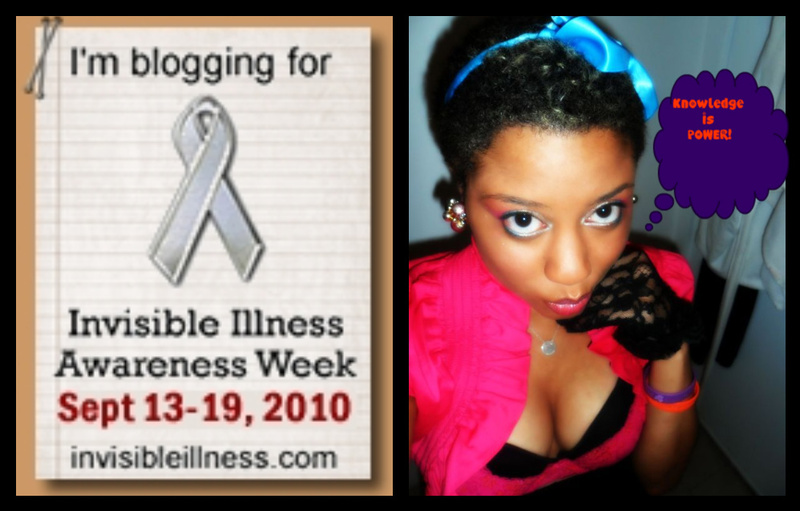 I've enclosed a video from Lisa Copen explaining the "Sticky Note" campaign for Invisible Illness week! Each One can definitely Reach One! Thanks for this post. I am enjoying your tips. Pain...To Share? Or Not to Share?